Another interview today from my friend, Soraya Murillo Hernandez, from Spain. Soraya speaks Spanish, and I only speak English, so our friendship has leaned heavily on technology and Google Translate. She has sent me a dozen or more of these interviews she conducted in the past for me to reprint here. She has so many, incredible interviews, I’ve created a category for her work. You can find all Soraya’s interviews at From Soraya. Today, she shares her interview with Owen King. It has been told about you that you have the ability to capture the macabre side of our daily lives. Do you think we have a good side too or is it that you prefer the negative part of human being? Why? Owen King—I’m attracted to characters who are flawed, who are deeply conflicted, who make mistakes. Which is to say, I like characters who are like real people. So that’s who I try to write about. And I’d say I’m in good company. Whether we’re talking about great mainstream fiction – The Corrections, for instance – or classic fantasy fiction – The Hobbit, for instance – the characters that grab us certainly have their positive qualities, but they’re also distinctly imperfect. You have written short tales and a short novel. Which one do you feel more comfortable during the writing process? Owen King—Both forms are incredibly challenging. I’d say that, in either case, the key is finding the groove of the story – just the general way that narrative wants to be told. That’s often difficult. A concrete difference between the two forms is that novels tend to require a bit more research. That’s an extra burden, although I usually enjoy research. In an interview I asked Jack Ketchum what was fear for him. He answered that for him was everything that you couldn’t control. What’s fear for you? Owen King—His answer is an excellent one: that fear is lack of control. You don’t know what’s next, or what’s right, or who’s out there. Fear is also aloneness. It would be awfully scary to find yourself alone in this world. You grew surrounded by horror, literally. How did that influence you when writing? Owen King—I literally didn’t grow up surrounded by horror, though! There were no vampires in my childhood home; zombies never came groaning up from our basement. I grew up around people who made believe for a living. My parents went to their offices every day and did their work and that was it. That’s what influenced my writing: their dedication. How is being your father’s son? Is it hard to catch your place under the shadow he casts? Owen King—I can’t complain. 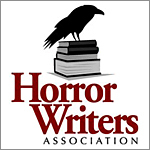 Certainly there are expectations that some readers bring to my work, and some of them are disappointed that what I do doesn’t slot into the horror genre. That said, I do dabble in fantastical areas now and then. While my latest, the graphic novel Intro to Alien Invasion, is primarily satire, it also functions as a good old-fashioned science fiction adventure. But lots of readers who have come to my stuff as fans of my father’s work have been willing to give it a chance and I couldn’t be more appreciative. I’m very lucky. As a son and brother of writers, have you ever considered the possibility of writing something in collaboration with one of them? Owen King—Oh, for sure! I have, in fact, collaborated on a couple of different screenwriting projects with my brother. I hope we get to do that again at some point down the line. He has a wonderful sense of humor, a tremendous imagination, and a really devious knack for narrative. Joe’s just a pleasure to work with. What are your present and future projects? Owen King—I’m working on a couple of novels right now. One of them is a little bit stalled, but I still have high hopes for it. The other novel is flying right along. I’m also pushing forward on a handful of different tv/film projects. This entry was posted in #PeopleCollection, From Soraya, Writing Life and tagged From Soraya. Bookmark the permalink.